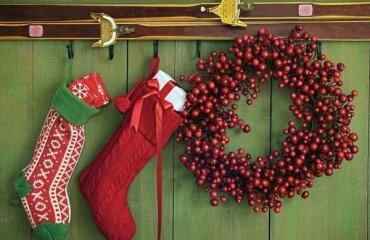 Christmas is, of course, excitedly and eagerly expected by all the children. 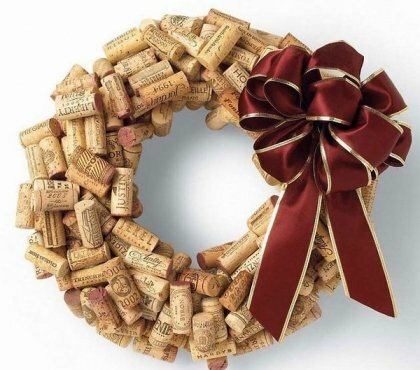 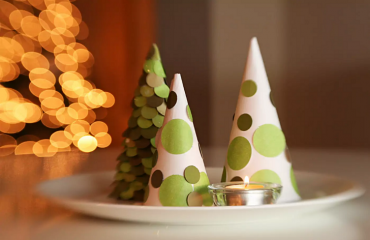 It is the time for surprising gifts and time for fun crafts. 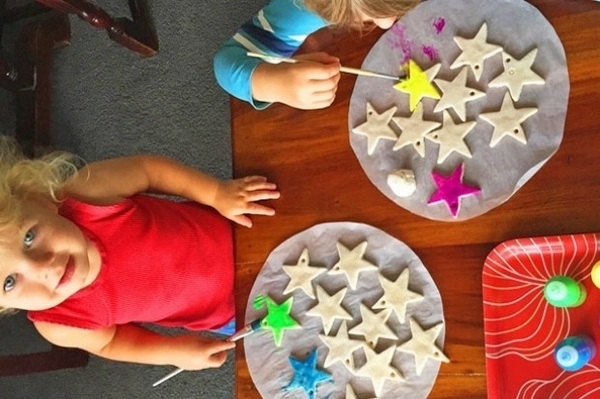 Kids love to paint and make something by themselves, whether it comes to pastries or to chaos-creating. 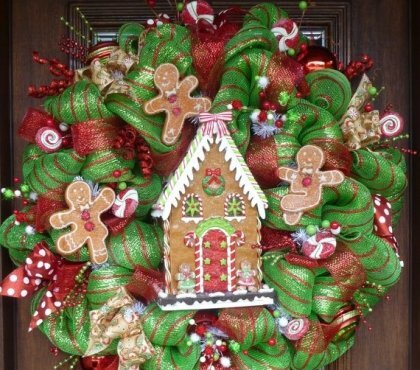 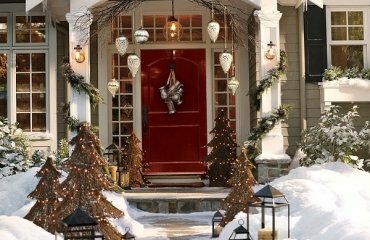 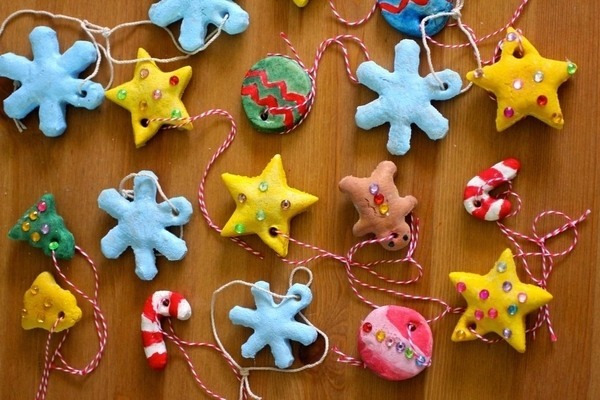 We will show you how you can craft salt dough Christmas decorations and you can be certain that every child would be delighted to help. 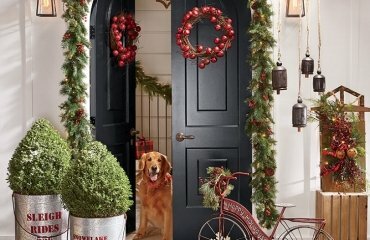 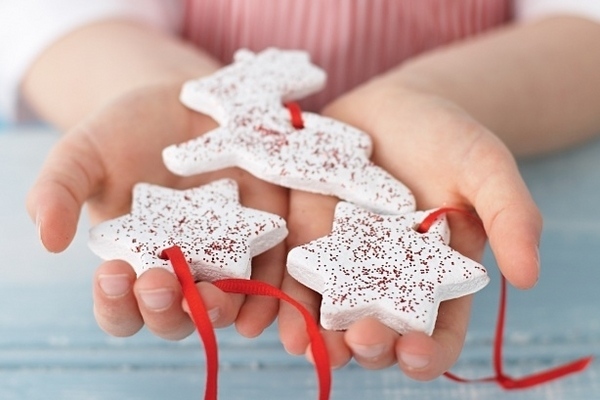 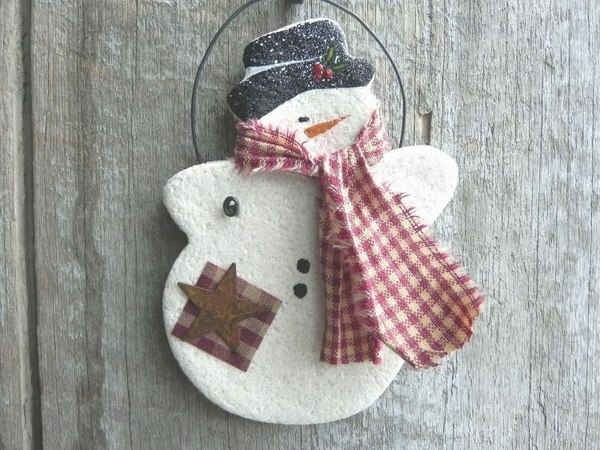 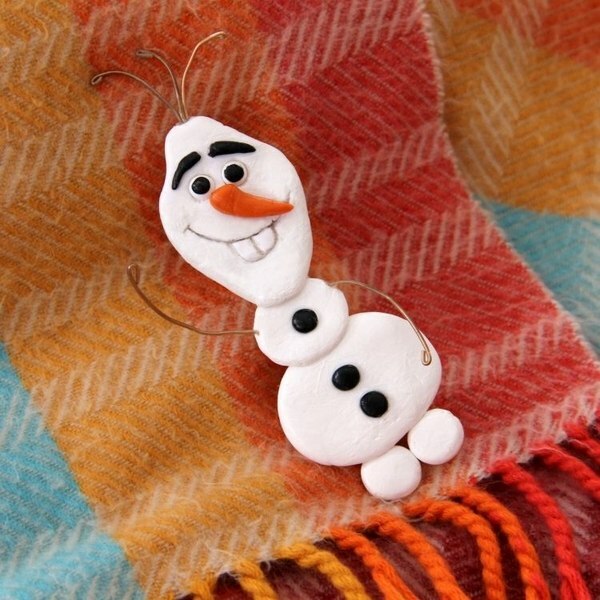 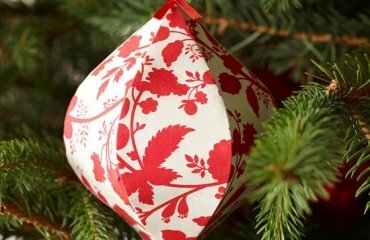 This is one of the most pleasant and creative cool and easy crafts and you have the opportunity to create unique tree ornaments or home decorations. 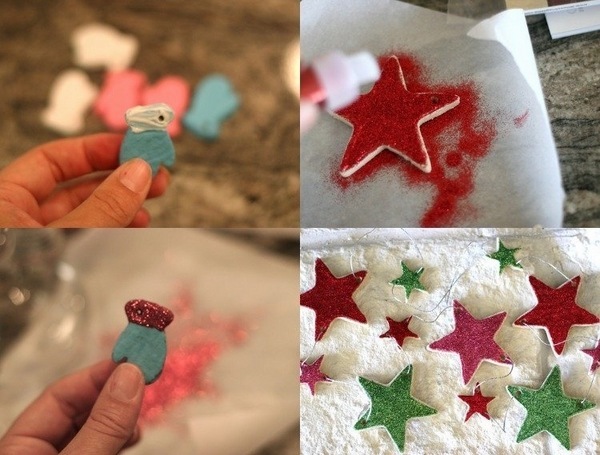 Salt dough Christmas decorations are made the same way as if you use playdough. 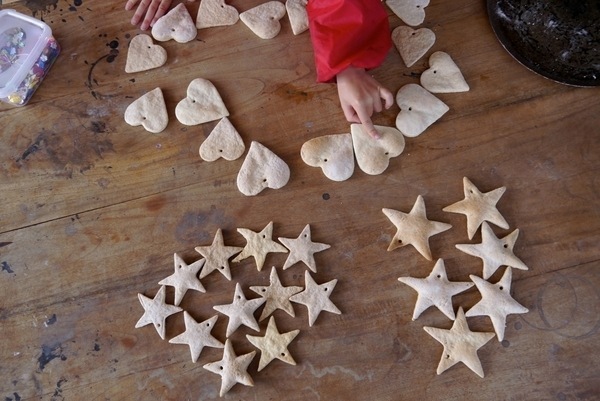 It is used in kindergartens quite often, because it is totally harmless for small children – all the ingredients are edible. 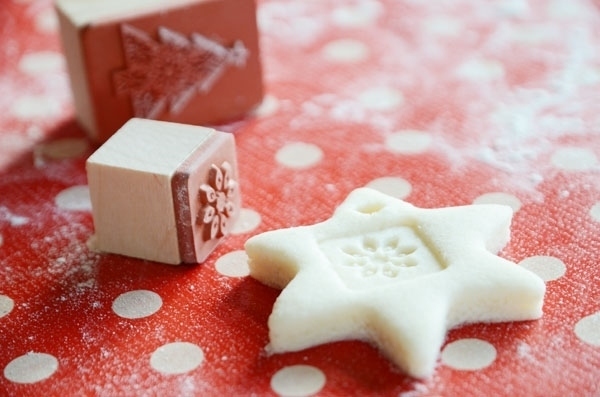 The recipe most commonly used is very simple – 1 cup salt, 1 cup water, 2 cups flour. 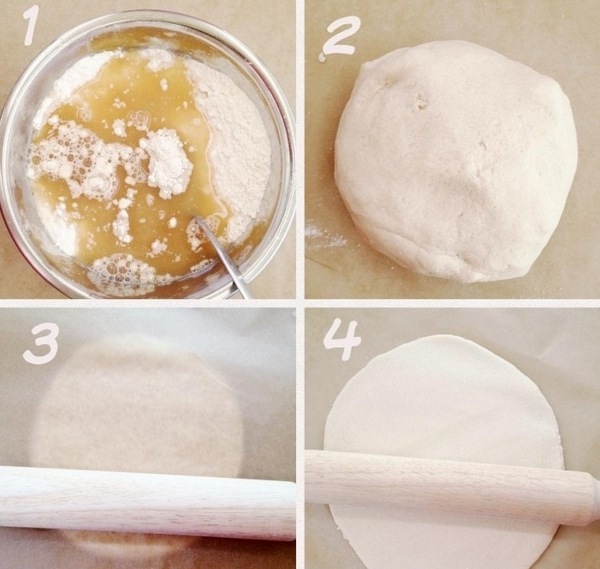 Combine all the ingredients in a large bowl in, stir well and knead well with your hands. 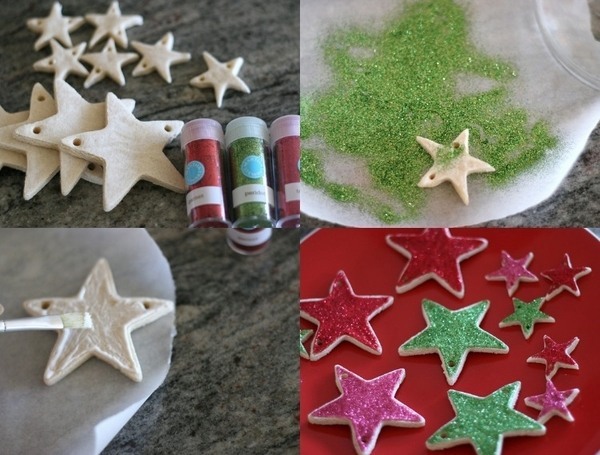 Use different cookie cutters and bake the salt dough ornaments in the oven at low temperature until ready. 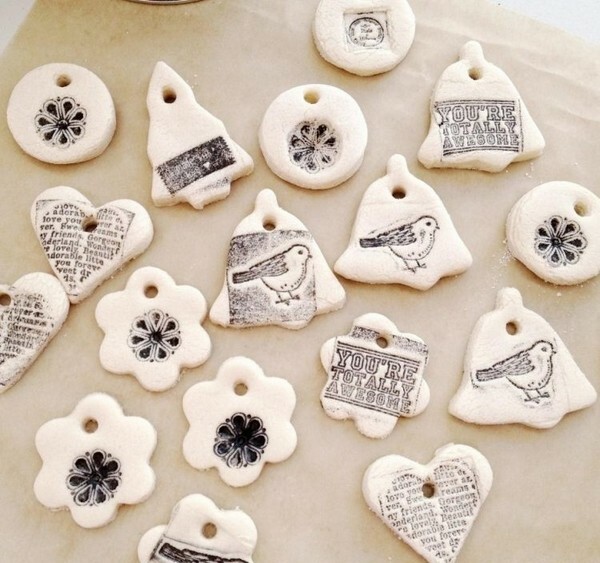 After they are completely cool you are ready to start painting and decorating them. 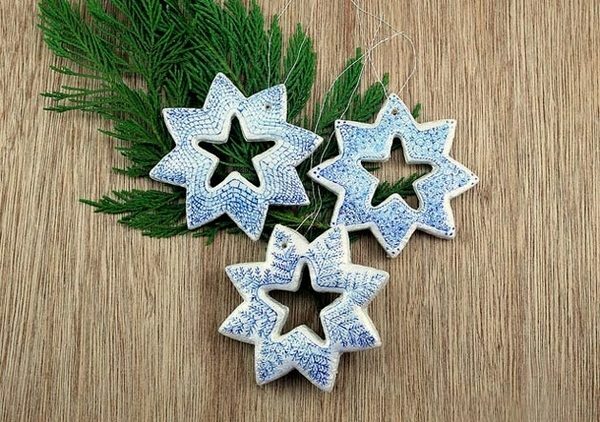 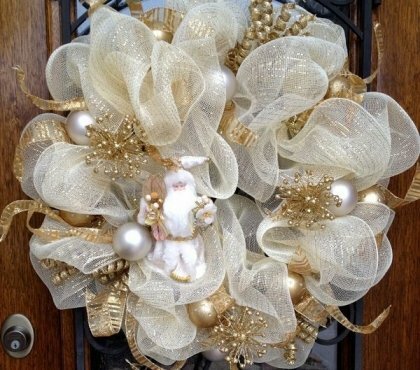 The ornaments are quite firm and have smooth white surface. 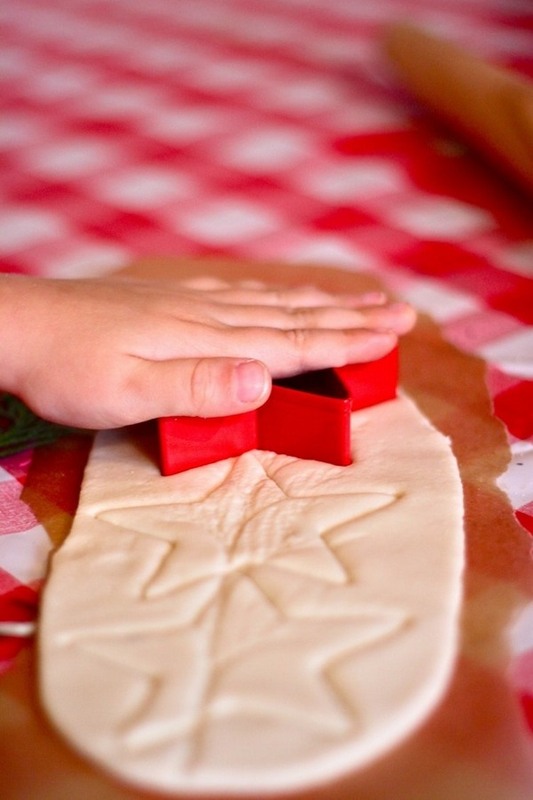 Salt dough is prepared very quickly and all the ingredients can be found in every household. 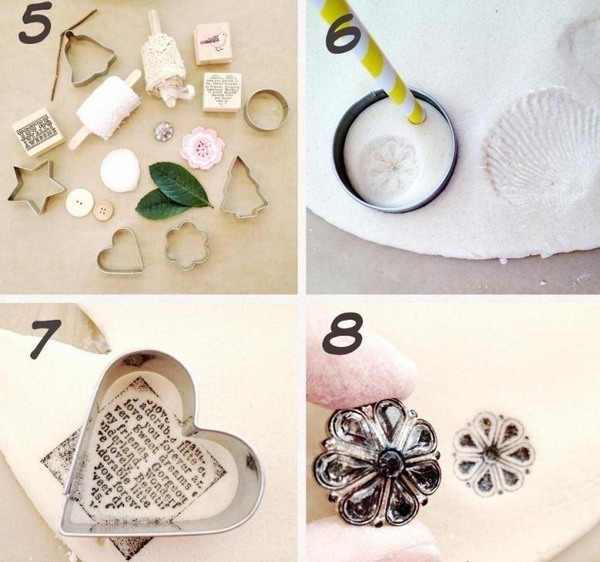 Before baking the ornaments you can use various beautiful stamps with different patterns. 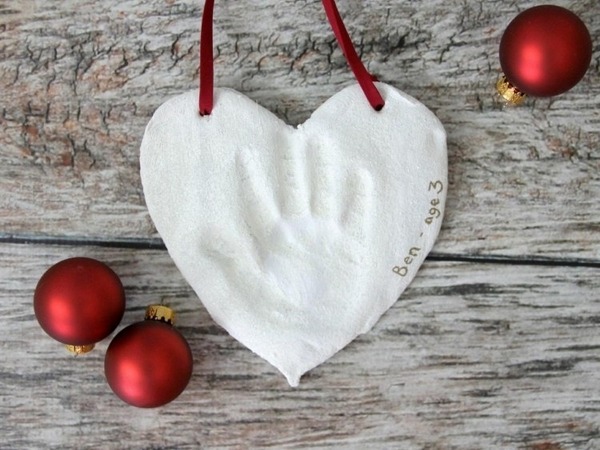 Afterwards you can decorate beautifully with water color, acrylic paint or even nail polish. 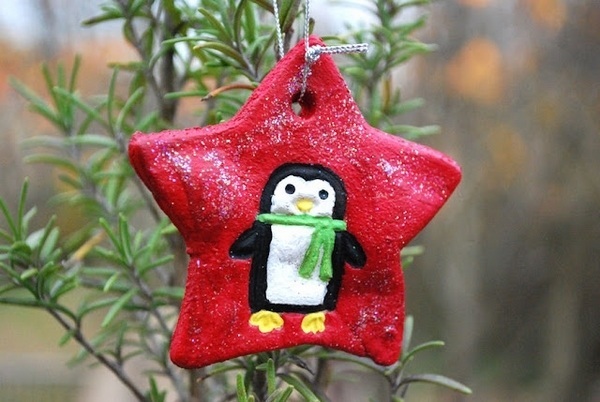 Stamps in black, silver or gold we create Christmas tree ornaments for your home. 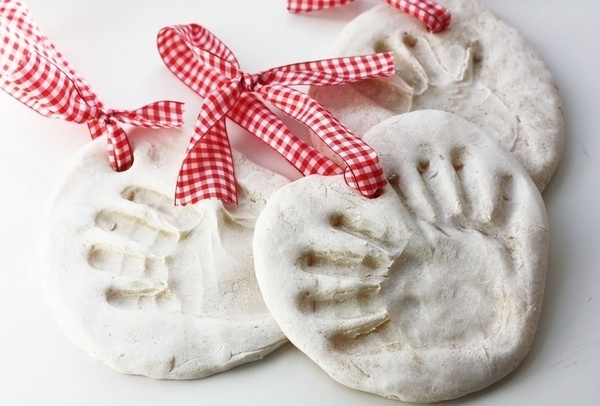 You can be quite calm and let your children have fun with the mixture as it is absolutely harmless and edible. 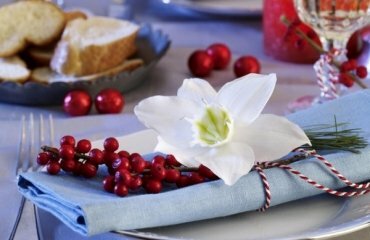 Food color can be added to the ingredients. 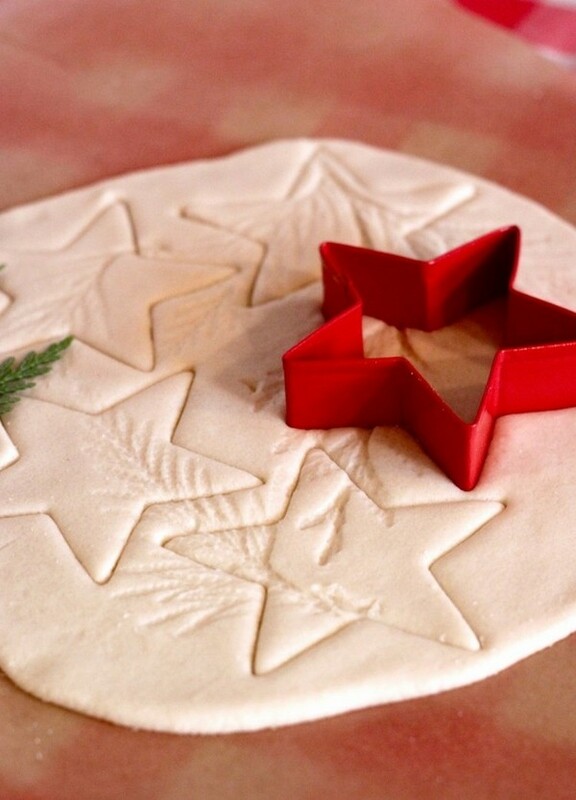 After you are ready with the dough use cookie cutters to cut it, use stamps if you wish and let the salt dough Christmas decorations dry or bake them in the oven.